Metro Heating and Cooling, LLC began June 2009 and we now possess over 400 years of combined HVAC and Plumbing experience. Our team of 43 employees are dedicated, and fully trained and certified in the residential and commercial heating and air conditioning industries. We aren’t paid based on commission, so our only incentive is to give great service! We provide the right products and the best service to meet your heating or air conditioning needs. We are proud to offer the highest industry standard for warranties on all our HVAC systems. 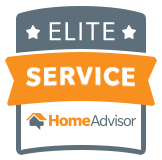 Our honesty and integrity is directly related to our impressive Better Business Bureau rating and our Home Advisor Top Rated Screened and Approved rating. We are affiliated with the following organizations which help support our commitment to the excellent standards of service our customers have come to expect from Metro Heating and Cooling. Metro Heating and Cooling is licensed and bonded to perform work in St. Paul and Minneapolis, and the surrounding areas of Minnesota, which ensures that you receive the highest levels of HVAC knowledge, technical expertise, and service. We possess the following certifications and business licenses. To schedule an appointment for repair or service, please call us at (651) 294-7798 or complete our online form and we will provide immediate assistance.